German poet; died at Breslau April 12, 1836. 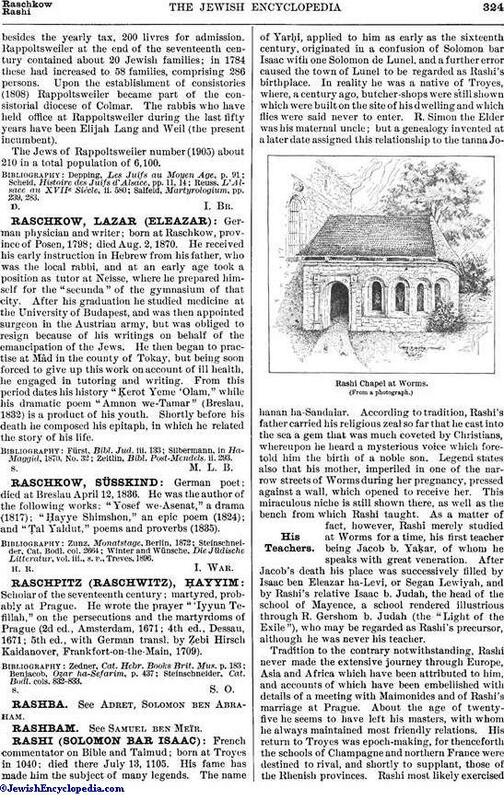 He was the author of the following works: "Yosef we-Asenat," a drama (1817); "Ḥayye Shimshon," an epic poem (1824); and "Ṭal Yaldut," poems and proverbs (1835). Winter and Wünsche, Die Jüdische Litteratur, vol. iii., s.v., Treves, 1896.